Legalization in various states has favored weed which is not only among the most desirable substance but has also helped expand the horizon of experimenting with various products with it. The eatables have been around the market for quite a while but there is one product that has all eyes on it and that is weed-wine. This is an ethereal blend of a drink that can drench you in happiness and weed that can help you experience a multitude of feelings. Both of these have individually been known for their amazing health benefits too and this has always diverted a lot of interest among people to know more about the weed wine. While this wine has received mixed reviews, it sure has a good fan following. The idea of infusing the two is not very new as such blends have been dated back to many centuries when the drink was used as an anesthetic. Weed wine has also been a cultural part of the Greeks and even early Christians. The new interest from various companies such as Rebel coast aim to bring the drink for recreational purposes that will add more fun to your social gatherings. 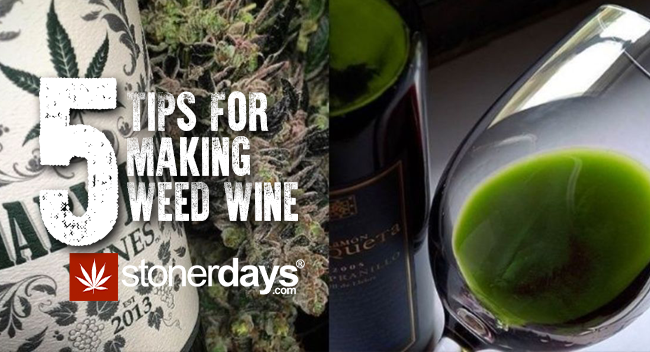 So, if you’re an enthusiast of either weed or wine and even better both, then these 5 tips for making weed wine will be your secret of making your own at home. Having the right setup: There are various ways available on the internet for making weed wine. One of the simplest ways will need a cheesecloth, a dry wine with a dominating flavor, a pot, a pan, and 1/8 – ¼ ounce of cannabis of any strain you wish to add. This will be idle for making wine with a deep essence of weed filling the drink. White wines are the better choice over red to avoid hangovers. Getting your weed ready to infuse: If you choose to go with marijuana oils then you can add it directly. Otherwise to activate the THC line a pan with the foil and spread the buds on it evenly. Close the pan and set the buds for about 120 minutes in 220-230 Fahrenheit. This process is going to bring out a pungent smell. After this, the weed will look slightly dull. Grind the buds after removing from heat and tie them in the cheesecloth. Place this cloth bag inside a pan or bowl containing the wine and let it rest for 2 days. Keeping the mixture still and undisturbed in the fridge is the best way. Remove the cloth bag and strain for any small particles left in the wine. Weed wine is now ready to serve. 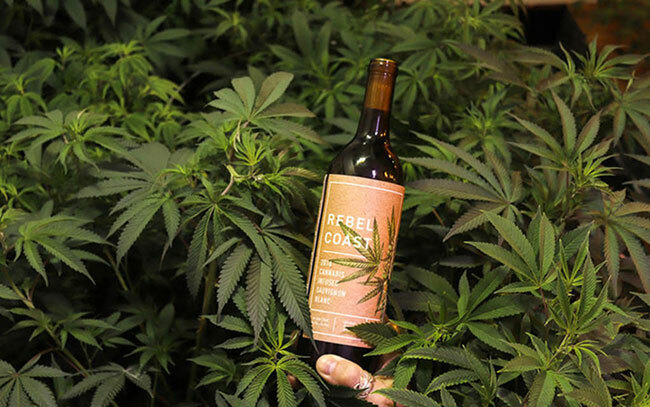 A mild weed-infused wine: Well, weed wine need not always have strong flavors clashing. Enjoying a mild flavor and feeling of weed in your wine could also be a great way to enjoy. Add to your previous list of ingredients some orange, cinnamon, cardamom and nutmeg. You can roast these separately and add them to the cheesecloth or put all the ingredients including the wine and cannabis together to boil which will bind these together. Making weed wine cocktail: While weed and wine combined with spices is such a rush of flavors a cocktail style blend of weed wine is a perfect way to ease your way into enjoying this drink. Some blueberries and sugar along with yeast could get you a delicious drink to cherish. Prepare a mixture of blueberry and sugar mashed together and boil them with some water added to it. After 30 minutes in simmer, let the mixture to cool down. Add your wine to this mixture and now all you need to do is let the weed work its way. In a bottle add the buds and the blueberry wine mixture, airlock it preferable with a cork and let it ferment in a dark place. In 4 weeks this could make its way into an amazing cocktail enriched with a combination of outstanding flavors. Looking for some cool marijuana shirts? 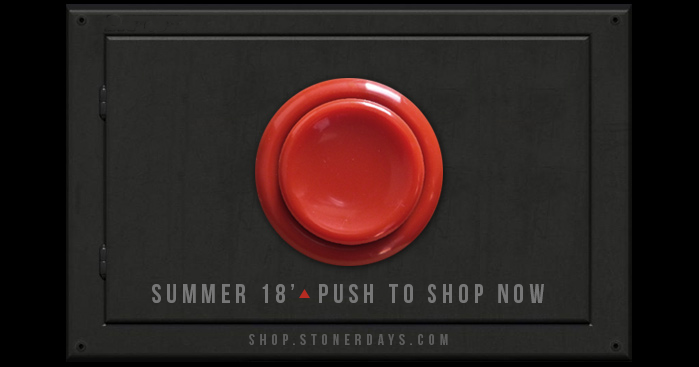 Click the button above to check out our latest summer goods! There are various other methods for preparing your own weed wine at home that is pretty easy and exciting. Like honey or mint-infused wines, marijuana-infused wines also can make an amazing drink that you will absolutely enjoy. She is a blogger who loves to write in different verticals and is currently dealing into fashion and apparel niche. She has written many captivating, informative and unique articles. Her hobbies are travelling and reading novels. This entry was posted in Featured, Stoner Guide. Bookmark the permalink.